It will probably surprise some of you to learn that many Bible scholars believe that a New Testament woman named Priscilla wrote the book of Hebrews. No, this is not a news flash. The argument for Priscilla’s authorship of Hebrews has been around for over 110 years. The case has been gaining ground since it first came out, but it’s something that a lot of people haven’t heard about.Priscilla and her husband Aquila are mentioned seven times in the Bible, and Priscilla’s name usually comes first, suggesting that some people thought she was the dominant or more significant of the two. Priscilla and Aquila were well-educated and articulate. They are recorded as having explained the way of Christ to Apollos, a favorite teacher of many of the early Christians. These are the first hints that Priscilla could legitimately be considered the author of Hebrews. Based on internal evidence, the nearly universal verdict is against Pauline authorship. 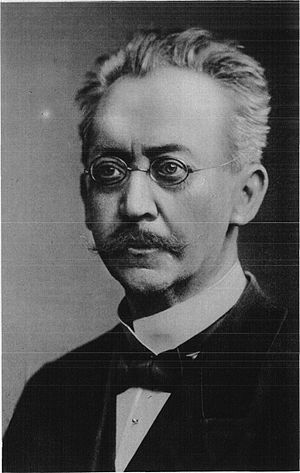 The first person to argue for Priscilla’s authorship of Hebrews was Adolf von Harnack, one of the most significant theologians of the nineteenth and twentieth centuries. (A German Lutheran, he felt his calling as a theologian was to open up “freedom of thought, of pursuing truth on every path, the freedom from interference by those who have been given authority in human institutions.”) This “liberal theologian” put forward his case for Priscilla’s authorship in 1900. 1) The author was highly educated and seems to have held a prominent teaching position. In Acts 18 Priscilla along with Aquila were able to instruct Apollos who was himself an eloquent and learned man (Acts 18:24-26). 3) Assuming the Roman audience, the author would then have been a part of the Roman church and been familiar with the circumstances of the Christians in Rome. Moreover the author seems to have been a respected leader among the Roman Christians and hoped to be restored to them someday (13:19). We know from Acts 18:1 that Priscilla and Aquila were expelled from Rome due to the Edict of Claudius in 49 A.D.
Anna Lee Starr summarized von Harnack’s case in The Bible Status of Woman (Fleming H. Revell, 1926) which is cited in numerous places on the web. Priscilla had an inner circle in Rome, “the church that is in their house” (Romans 16:5). She was an Apostolic teacher of high standing,er and known throughout Christendom of that day (Romans 16). 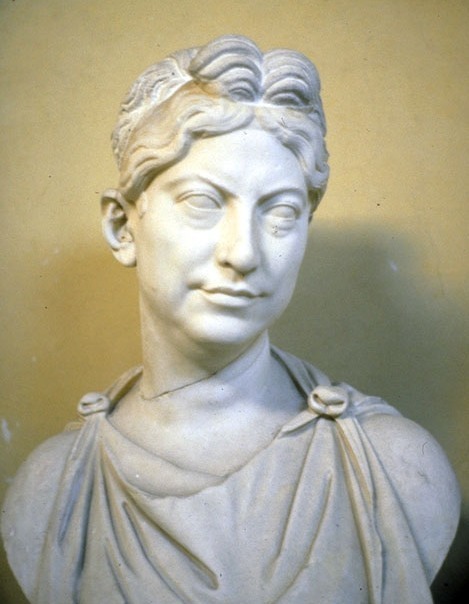 She was the teacher of the intelligent and highly educated Apollos (Acts 18). She and her husband Aquila labored closely and taught together, explaining why both the pronouns “I” and “we” were used by the author. Like many other issues, there is no little debate on this. New Testament scholars weigh in on this side or that. Harnack’s advocacy of Priscilla, however, has stimulated more discussion than any other. I think most people never entertain the idea that something in the Bible could have been written by a woman. We talk about the gospel writers, about Peter, James, and John, Moses, David, and of course Paul, but we rarely mention Priscilla. Many New Testament scholars plead “scholarly agnosticism” on the authorship of Hebrews, saying that we will never know for sure who wrote it. Church history is filled with literally innumerable times when some dogma that was widely believed and officially taught was questioned and refuted by someone. Initially the new understanding is rejected, perhaps even violently repressed, but is revived by some individual or group later on when the times are more conducive to re-evaluation of the entrenched dogma. People believed and taught that Paul was the author of Hebrews for centuries, despite reservations which explain why it is placed at the end of the rest of Paul’s letters. Pauline letters are ordered from longest to shortest, and Hebrews suddenly “pops up,” because scholars have never quite known for sure. I don’t absolutely know that Priscilla wrote Hebrews. But this is to let y’all know that a lot of people do, that I believe a woman wrote it, and that I refer to her as the author when citing material from her epistle. This entry was posted in Bible, Diversity, Religion, Theology and tagged Adolf von Harnack, Hebrews, Misogyny, Priscilla. Bookmark the permalink. 😀 I’m glad you found it, too, Savannah. It’s good to know you’re getting a blessing out of my posts. They call it “historical imagination,” right? The ability to “see” the ancient people and events we read about. And not just the events and characters portrayed in the Bible, but the authors, the unknown redactors and scribal copyists, all of them. Very interesting. Of course, I am familiar with the general belief that many of the Pauline letters were not written by Paul, but this is my first introduction to the idea that Priscilla was the author of Hebrews. a) Women were leaders with full stature in the early Christian church, far more stature than they have today, at least in the Catholic church. b) The power structure in the early church was a rejection of the socially accepted power structure of its time. d) Some things about the Bible are just unknowable. Thank you for this great blog. I always look forward to seeing what you have to say. Amen to all four point, Roger. I was thinking more about women readers than fundamentalists. I must confess, I sometimes spend more time worried about fundamentalists than with my actual readers. This is a familiar conversation. I don’t have my references at hand, but remember an old conversation that argued for one (or more) of the OT books having been written by a woman because of certain linguistic characteristics. Who knows. I do know that this collection of books we call The Book, was heavily cherry-picked by the court of King James (King James Bible, anyone?) Politics and religion. Ugh. I haven’t heard that, Joy, but it certainly seems possible. If you remember the book, let me know, eh? Sounds intriguing. A quick google turned up the following academic responses. FIRST, Hillel I. Millgram published Four Biblical Heroines and the Case for Female Authorship: An Analysis of the Women of Ruth, Esther and Genesis 38 in 2008. Dictionary of the Old Testament: Wisdom, Poetry & Writings: A Compendium of Contemporary Biblical Scholarship, InterVarsity Press, 2008. Ron, I have recently discovered your blog and like it quite a bit. My OT professor at my Lutheran seminary held strongly that the Song of Songs was written by a woman. He did so by pointing to how the Hebrew was used and the way the woman is referred to in the poem (respected, as a complete and self-willed individual and sexually mature in both body and mind). As Roger says above, there are many things we cannot know about Scripture, but when the ‘historical imagination’ is allowed some freedom and expression, whole realms of possibility are uncovered to our greater benefit. All that is to say that I really appreciate the idea of Priscilla writing Hebrews and am going to run with that idea for a while in my studies and preaching. It’s interesting to know that your seminary professor believed that so strongly. It’s one thing to read something in a book, quite another to sit under an expert in their field who teaches it. Thanks for sharing that, Seth! I would personally love it if it could be shown that any book in the bible was written by a woman. The idea that Hebrews was one such work does have a major stumbling block, though. One of the very verses you quoted B Small citing to evidence individual authorship, 11:32, has the author self-referring using the word διηγούμενον. This is the middle or passive deponent present participle in its accusative 1st person, singular, masculine form. Were the author a woman, we would expect such a participle to be feminine. Indeed, if one is going to use this word (as Small and von Harnack do) to argue that the author is an individual, then the corollary is that the author is a male individual. 1) Conjectural emendation: the text must have become corrupt here, and we do not have the original wording; either a feminine participle was used in the original and has become changed in the manuscript tradition, or the sentence didn’t originally say anything like what it does now, and more extensive corruption has occurred. 2) The text as we have it is correct, but in some way a female author could have written a masculine participle when describing herself. There are a number of ways of explaining why this would be the case. I’m interested to know which explanation do you adopt and why? V.R.S., there are reasons why I didn’t pursue a career in academia and become a scribe! 🙂 And I can see that you’ve got it all over me in terms of the original languages. There are many opinions and arguments on the authorship of every book and letter in the Bible, Hebrews included. Adolf von Harnack was 1,000 times the scholar I am — there’s no shame in following his lead! What’s your take on the authorship of Hebrews? As I read through the Epistle of Hebrew I could easily see a woman writing it. Then I searched for answers and came upon this article. It reaffirms what I felt! It is sad the early church leaders denied women both in the Bible and in the church equality, however, God does! How much more did women contribute to the OT and NT that has been hidden? Hebrews does Not sound like the Pauline letters we know of, today! The author remains unknown because the Church Leaders knew it was a woman who wrote it…they were not about to give credit to a woman. God Will! I don’t understand why so many men seem threatened by ideas like female authorship of Hebrews. Not that all men feel this, just some. One common thread running through dissenting and reform groups (among which early Jesus followers belong) is their acceptance of women in leadership. Thank the gods for Adolf von Harnack! There are definitely places in the Bible in which women contributed, but Hebrews isn’t one of them. Personally, I would like it if a woman (Priscilla or Junia or Phoebe) wrote this epistle, but I must go with the evidence not my wishes. Verse 11:32 indicates the author is a man. There is absolutely no evidence that the text has ever been corrupted at this point. Tertullian (On Modesty 20) attributed Hebrews to Barnabas without reservation. This is the earliest attribution and is probably the safest bet. Since your study is working is a general chronological order, I suspect you’ll find that the earlier epistles are more open to women’s participation than later epistles. We won’t get into the epistles written by disciples of Paul, the so-called pastoral epistles. Suffice it to say, different points of view are represented among the writers of the Greek Bible scriptures. I encouraged two women to seek ordination, my wife Diane and a Guatemalan immigrant named Estela. Both were from fundamentalist backgrounds, however, so neither of them felt led or able to seek ordination.